Cover painting by John Signor. I was in McCloud in August 2005 for the last run of the #18 on McCloud Rails. I thought I recognized Ted Benson, a railroad photographer who's work and writing style I have always admired, standing trackside taking pictures, and after one of the runs I introduced myself to him, and he recognized my name from this website. At some point during the day Ted turned to me and said something along the lines of "It's time for another McCloud book". That comment launched me down an eleven year path that has led to this book. 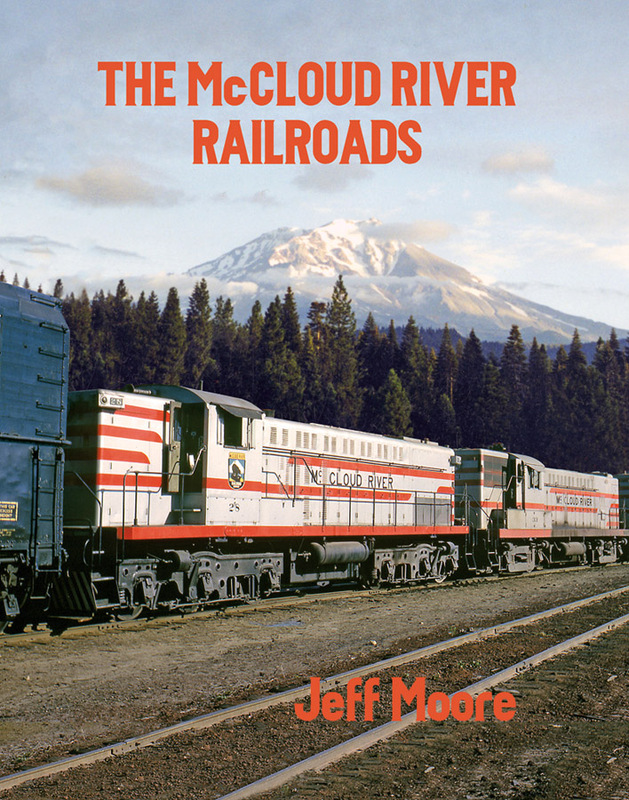 I've met a lot of interesting people and learned a lot of fascinating facts along the way, and I hope this book does the railroad and it's place in history justice. I want to send a big thank you out to everyone who has helped to make it possible, and I'm really pleased with how it has turned out. This book is being published by Signature Press and is due on store shelves the first week of October 2016. Signature has a fine page on their website describing the book and giving details on how to order it.